As you'll expect from Mappin & Webb, the quality of this cabinet is superb. It is the best you can get in 1920s shop counters. It features beautiful mahogany and oak parquet flooring and stands on beautifully cast brass feet. 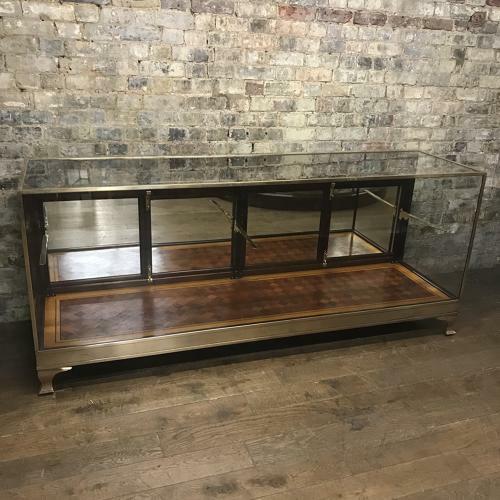 It has four mirrored mahogany doors at the rear which allow access to the display and four mirrored mahogany drop-down flaps to allow access to the jewellery section. It has two adjustable shelves - the top shelf allowing access from the drop down flaps. Even by Binder's standards, this is really top league.